I left out a few things from days 1-4 that I wanted to share, and then I'll get to Sanibel, which was like a different world, simply because it wasn't cloudy or raining. Here's one I missed posting yesterday taken at Lovers Key State Park- a Wilson's Plover, which was a first sighting for me. There intermediate in size between the much smaller piping and snowy plovers (they're coming) and the Black-bellied Plover, which is giant. 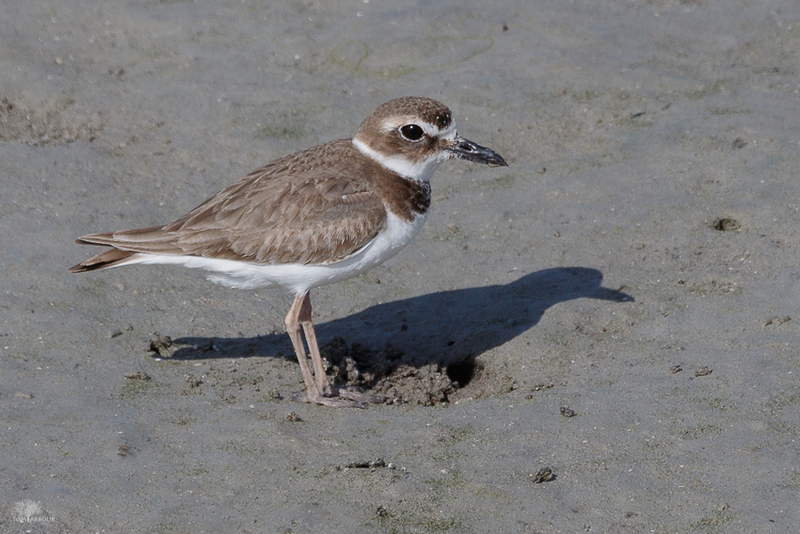 I observed three of these birds on the sandflat. They pretty much either stood or ran. I didn't observe them eating, unlike the nearby Least Sandpipers, which never stopped foraging. Here's proof that not every gray and yellow warbler is a Palm Warbler. 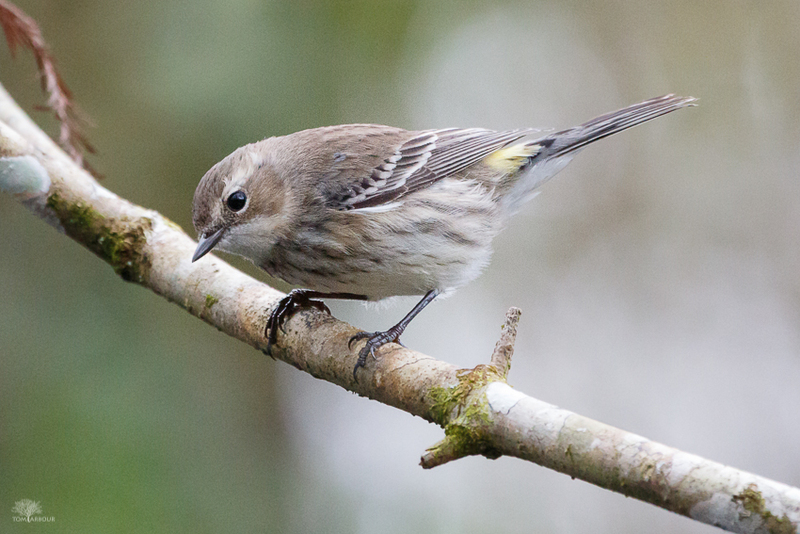 This Yellow-rumped Warbler was quite curious of my presence at the Rookery Swamp boardwalk. 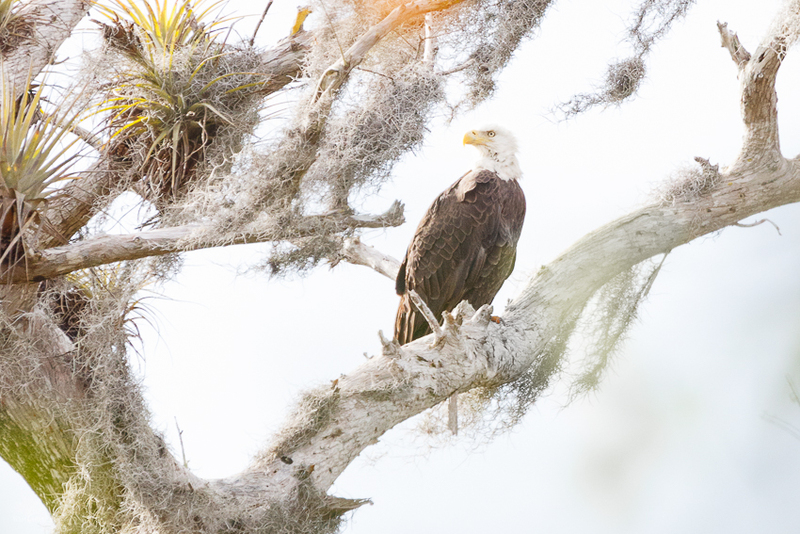 Photographing Bald Eagles is nice in Ohio, but there's something special when one is perched in a tree full of Tillandsia bromeliads. Can't get that shot in the Buckeye State. When I visited Florida in late January, 2015, the television weather people were lamenting the lack of rain. Not this year. 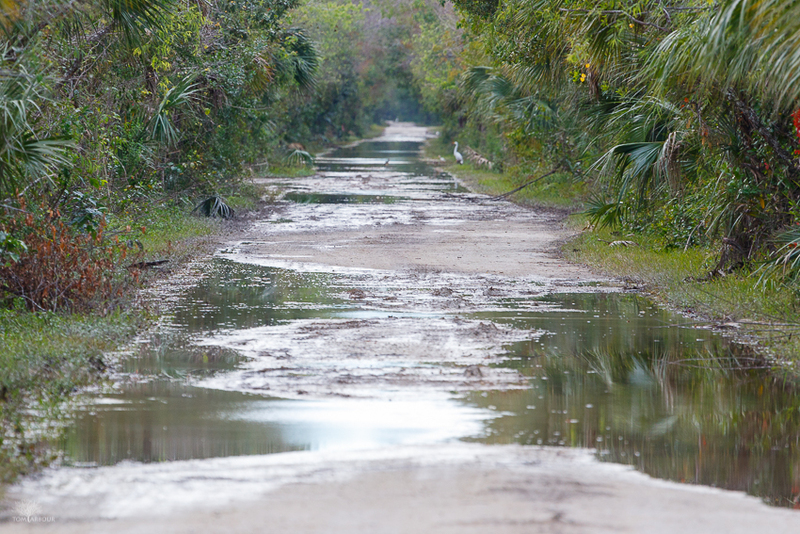 El Nino typically means cold, gray, and wet winter weather for Florida. While I was there, the local airport beat its previous record for most January rain, topping somewhere over 10". An inch or so for the month is typical. Luckily, I rented a compact SUV that had no problems going through the "roads" that had become rivers. The Everglades are a giant river, flowing roughly, from North to South. The many roads across the system act as endless low head dams. Yes, there are culverts under the road, but when there is too much water, the roads flood. Take a look at the video below- the water couldn't wait to get past this road.